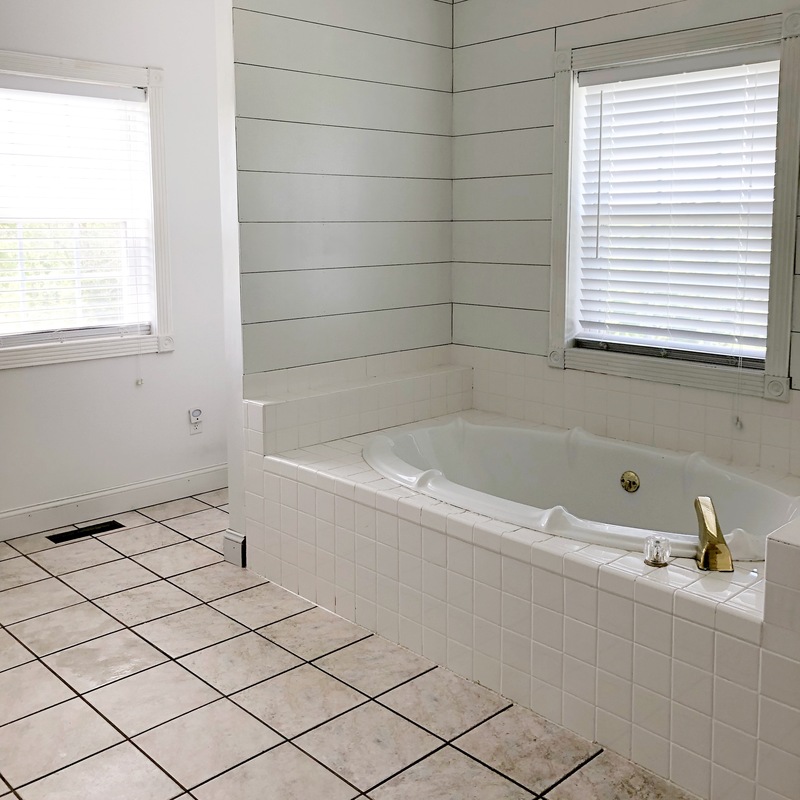 We are in the middle of our master bathroom renovation! 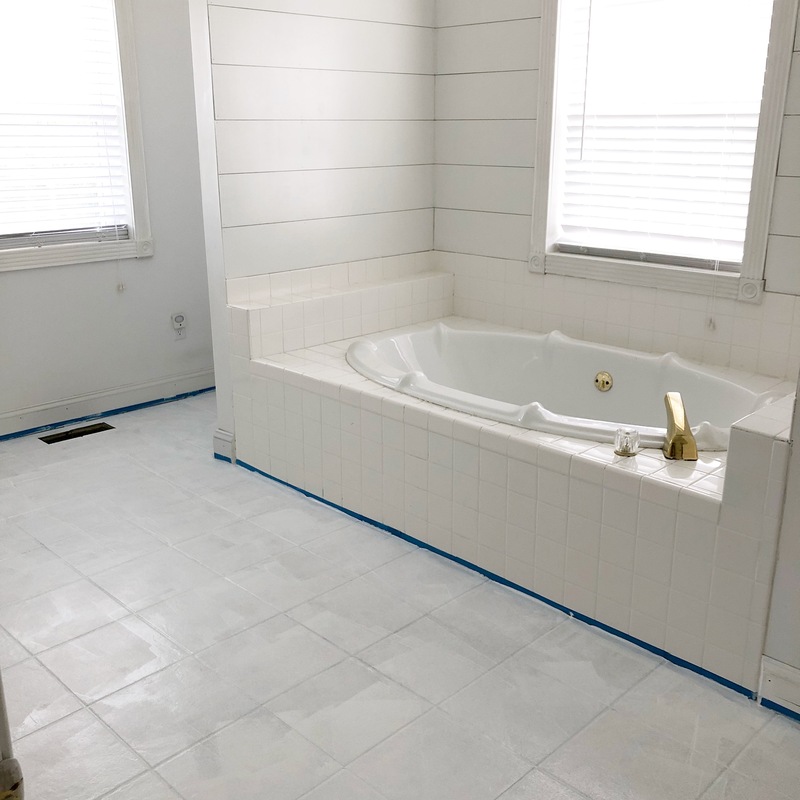 We decided to just paint and stencil directly over our existing “dated” ceramic tile! I’ll show you the process that worked for me below! I’m not a pro at this by any means, there’s several tutorials out there, but this is what worked for me! 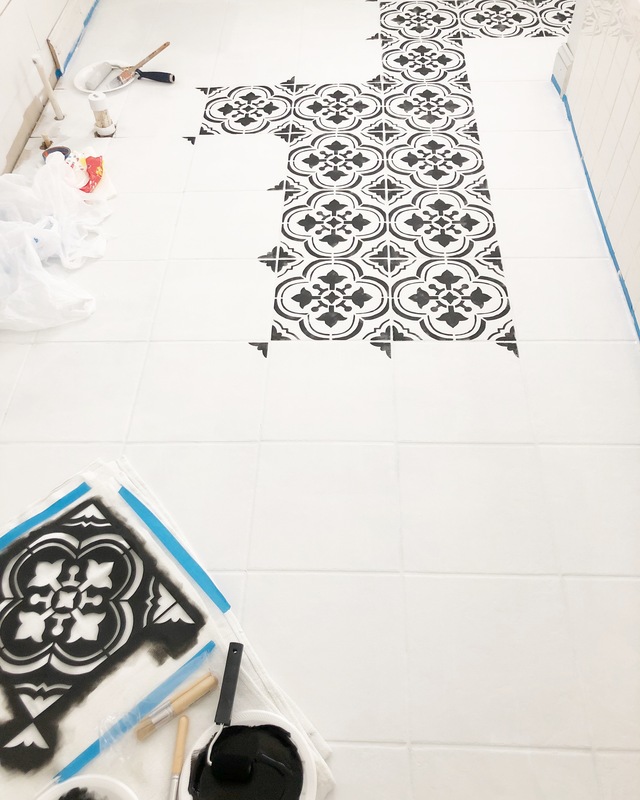 Also, for all of your Instagrammers, I have a full tutorial on my feed (interiorswag) under “stenciled floor tutorial” if you guys are interested in watching! First, you wanna give your floor a good cleaning. If your tile is new, I would suggest sanding your floors really well before cleaning. You let the floors dry completely, then you prime. I used two coats of primer, then two coats of base color chalk paint. I let this dry overnight then I started stenciling the next morning. I had a drop cloth (to pull around as I am stenciling) with two paint trays one for paint, one for getting the excess off. It was also large enough to lay my stencil on so it can dry between tiles. Drying the stencil is important so you won’t have bleeding/smudges. I covered a large area so it took me a few days to get the stenciling process done. You want to soak and clean your stencil each night so it won’t become tacky. Also, expect bleeding! 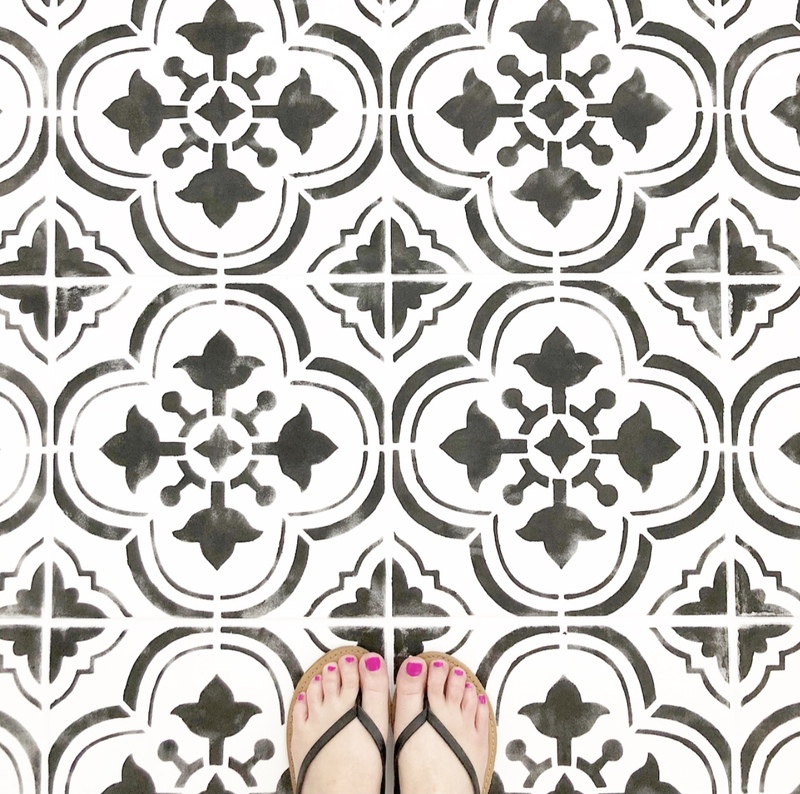 You can go back and touch up these areas with your base coat later before you seal your floor. After I finished stenciling, I let it dry overnight. You so not have to do this as chalk paint dries quick. I then sealed with 3 coats of matte polycrylic. Let this dry well overnight. Carefully remove the painters tape using the razor knife. 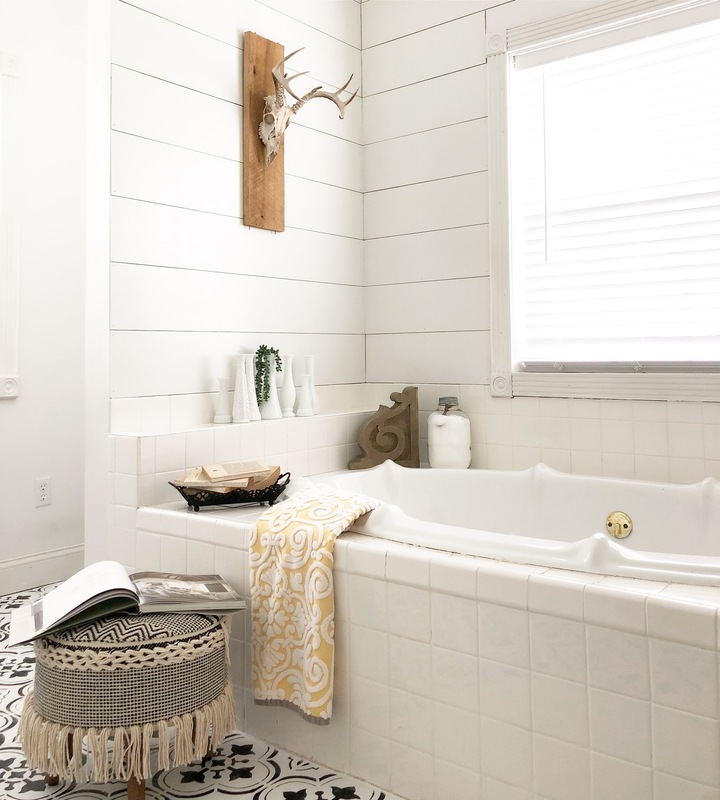 The last step I would suggest is using caulk around your toilet, base boards, and tub just to finish the edges. Then you’re done!! Here are progress pictures and current views! 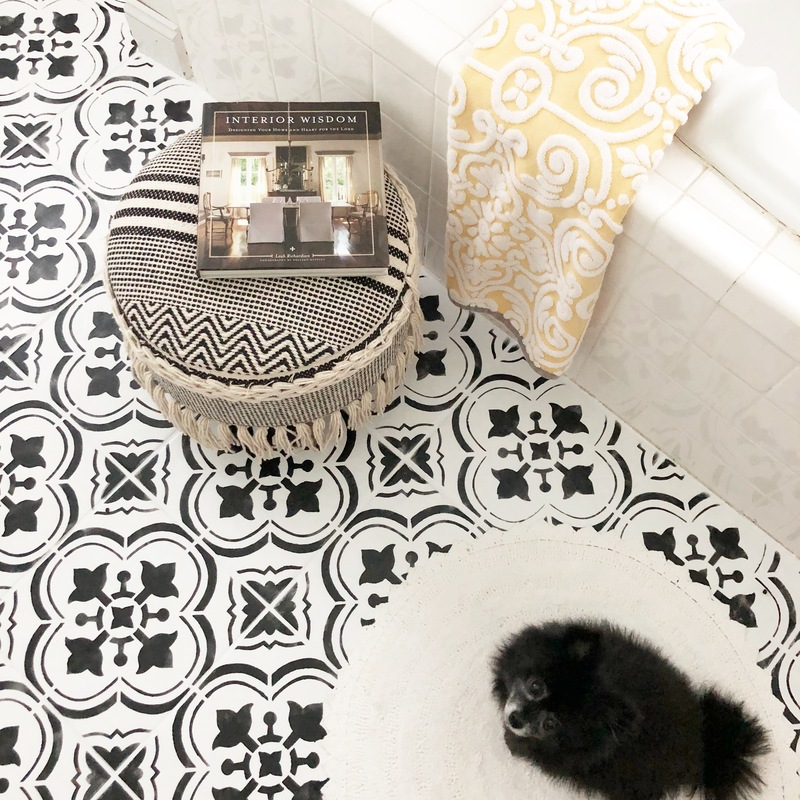 Let me know if you paint your floor tile and tag me over on Instagram or Facebook! I would love to hear from you!